A toy kookaburra visits possums in Australia. 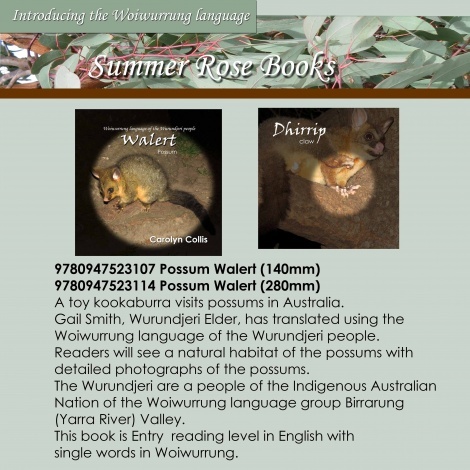 Gail Smith, Wurundjeri Elder, has translated using the Woiwurrung language of the Wurundjeri people. 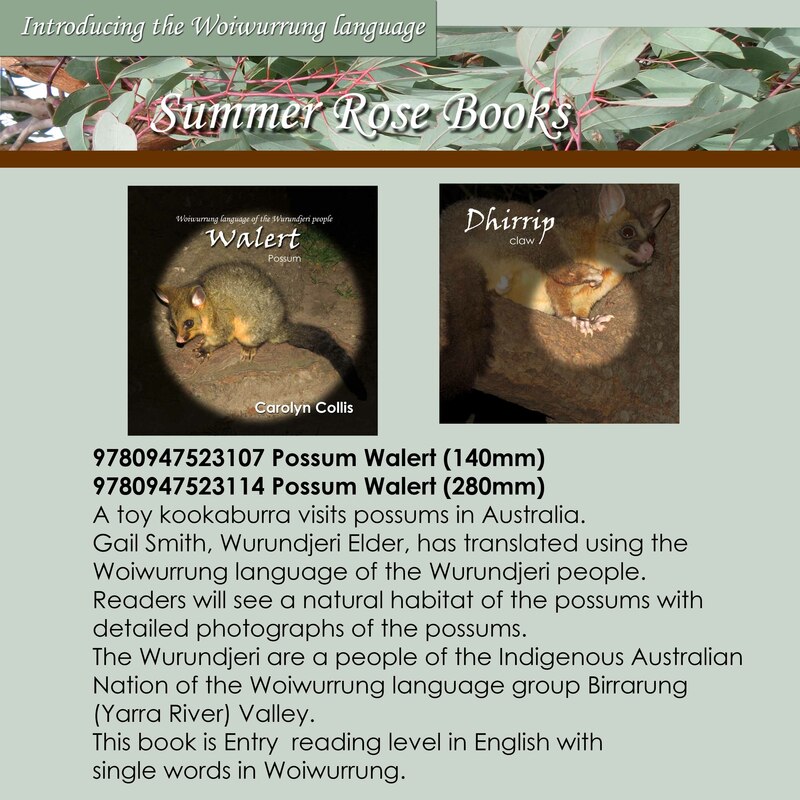 Readers will see a natural habitat of the possums with detailed photographs of the possums.